The security aides of Governor Ikedi Ohakim may after all not be the monsters they seem as it has been revealed that Mr. Emma Ohakim, the Chief of Staff in the Imo state Government singularly inspired the brutal attack on Wale Oluokun, the Federal Radio Corporation of Nigeria (FRCN) correspondent who was beaten to pulps for reporting the shabby treatment meted out to protesting blind indigenes of the state. Dependable sources in the Imo state Government House has confided in huhuonline.com that the assault on the journalist which has become a national embarrassment was actually inspired by Mr. Emma Ohakim, the Chief of Staff and younger brother of Governor Ikedi Ohakim. On the said day, on learning that visually impaired protesters were at the Government House gate and had refused to go without being addressed, the Chief of Staff was said to have mandated government house security personnel to use force to disperse the blind protesters. Though some of the blind lamented that some of their guides were assaulted, sources told huhuonline.com that the Chief Security Officer had instead given a transport fare of N10, 000 to the blind protesters and urged them to depart. When they persisted, the Aide de camp of the Governor was said to have added another N15, 000 and begged them until they grudgingly left. When the incident was reported by Wale Oluokun, the Chief of Staff was said to have flown off the handle and berated the security men for not obeying his directive of using force and choosing instead, to display their wealth. With the Chief of staff breathing down their necks, the security men simply took the cue and descended on Wale Oluokun in a bid to make things up with the Chief of Staff. It has been widely said that without the prompting of Mr. Emma Ohakim, the security men may not have seen any need to assault the journalist who merely reported what transpired. It would be recalled that on several occasions when sensitive issues as this are left at the discretion of the Chief of Staff, Mr. Emma Ohakim, a scandal often erupts. It was a similar case when, under his care, police security details of the governor held the Government House hostage in protest of their unpaid weekly allowances. He fled the scene. 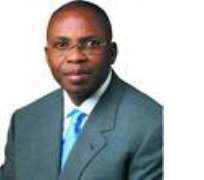 As Governor Ohakim may be expected to address the issue when he settles down on his return from his annual leave, observers are of the opinion that if any question must be asked by the governor over the undue embarrassments the incident generated for the government, the Governor should direct such questions to his brother, Emma Ohakim.